Some cool stuff from the folks from Yamato Co,. Ltd. A functioning 1/6 model of 1972 Kawasaki Z1 that was five years in the making. Amazing! No word on cost but I want one! Yamato Co., Ltd., a leader in the design and manufacture of high-end transforming vehicles and detailed figures, is pleased to announce history in the making with the introduction of its latest groundbreaking achievement: 1/6 Museum Model, Vol. 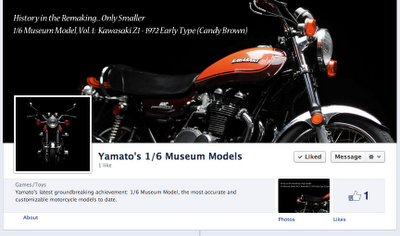 1: Kawasaki Z1 – 1972 Early Type (Candy Brown), the most accurate and customizable motorcycle model to date. Motorcycle models are nothing new, but motorcycle models of the past have lacked precision, omitted details, and ultimately remained a fixed display. However, through the use of the latest technologies and materials, as well as our own unique expertise, we at Yamato have successfully replicated a motorcycle in scale form which is so true, precise, and versatile that, in our opinion, it is genuinely worthy of a display in a museum. Truly, this is the birth of an unprecedented motorcycle model which is far beyond the “toy” category! So how did we achieve such a feat? In making our Z1 1/6 Museum Model, we set out to include every last detail down to the engraved logos of individual parts. With the passage of forty years, though, the availability of an actual Z1 upon which to base our model is obviously quite limited. It is even harder to find a Z1 with all its original parts, as over time parts have been refurbished, modified, or added. In order to perfectly replicate the Z1, we had to painstakingly search out and obtain genuine, original parts from motorcycle shops and passionate collectors around the world. Then, utilizing the latest in 3D laser scanning technology, we took each part, scanned them one by one, and transferred the data into CAD to create precise prototypes for flawless molds. But that’s not all. What’s even more amazing is that there are many small parts used on the actual Z1 that are too small to replicate in 1/6 scale. Some parts are less than 1.0mm in thickness! That’s way too small to duplicate utilizing conventional injection molding. We began our 1/6 Museum Model project with this challenge in mind, and the goal to flawlessly replicate the Z1 by finding ways to overcome such technical obstacles. In the end, to achieve our goal we employed an elaborate process of separating, gluing and painting small parts or replicating them using special synthetic materials more suitable for such extreme sizes than die-cast or plastic. And our efforts paid off. After more than five years, 1,600+ piece construction, and just as many paint applications, we have fashioned a fan’s dream - a model based on the most valuable and rarest of Z1s, “The Early Type (Frame Number 44)”, as our sensational first release: 1/6 Museum Model, Vol.1: Kawasaki Z1 1972 Early Type (Candy Brown). But this is no ordinary replica. Yamato’s Z1 1/6 Museum Model is not a mere display piece. It is the ultimate scale model accurately replicating the style and beauty of the original Z1 motorcycle in every detail… including function! Even the smallest of parts such as nuts and bolts are accurate in their function. What does this mean? It means Yamato’s Z1 Museum Model enables you to disassemble and assemble it just as you would have done with a real Z1. With Yamato’s Z1 Museum Model, you can take off the side cover, as well as the fuel tank, seat, handle bars, muffler and tires using special tools included. It also means you have the further freedom to customize your Z1 to create your own unique, one-of-a-kind motorcycle with extra parts such as handle bars, footboards, seats, tires and more all of which are now under development in joint effort with Yoshimura and other famous custom parts manufacturers. Forty years ago, Kawasaki Heavy Industries made history with the debut of its Z1. This year, Yamato stands to make history again with its 1/6 Museum Model, Vol. 1: Kawasaki Z1 – 1972 Early Type (Candy Brown). Don’t miss your chance to own a part of history this fall, contact your local hobby, pop culture, or motorcycle shop for more details. Or visit us through our North American subsidiary a twww.YamatoToysUSA.com. The Canadian Harley-Davidson XR1200 Cup Series kicked off Saturday June 23 with the opening race of the Mopar CSBK National Road Race Championship at the Shannonville Motorsport Park in Shannonville, Ontario. MotoSport Plus of Kingston rider Steve Crevier took over right where he left off last year at Shannonville Motorsports Park. Last season Crevier qualified in the top spot with a 1:10.733 second lap time. In the first outing of the new season, Crevier again dominated the qualifier with a 1:10.402 second lap time, earning the reigning series champion the pole position going into Sunday’s final. The pole position finish earned the reigning champ the Tactical Products Canada, Luminox watch and gift pack. Ruthless Racing Inc. team-mates Darren James and J.R.MacRae ran less than a second behind with MacRae making the biggest gains, improving his last years qualifying lap time by a full second and a half. Five-time Canadian National Superbike Champion Michael Taylor, riding for Mackie Harley-Davidson, made a good showing in his first outing on the XR1200 qualifying in fourth. A collective group of Atlantic Harley- Davidson Retailers sent Blaise Fougere as their representative in the series, and Fougere didn’t disappoint with sixth best qualifying time. In seventh position was seven time Canadian dirt track racing champion Donald Don?Taylor riding for Clare’s Harley-Davidson of Niagara with an impressive showing on his first ride on a racing motorcycle with front brakes. Eric Trudel put the Becancour Harley-Davidson into the number eight spot while Patrick Chartrand rode the Leo Harley- Davidson entry to ninth. Rocky’s Harley- Davidson/ Kitchener Harley-Davidson rider Gump Harrison rounded out the top ten. Sunday’s weather began with, overcast conditions slowly rolling over Shannonville Motorsports ParkAnd by the time the large field of Harley-Davidson XR1200motorcycles rolled out to the grid, a slight drizzle threatened to dampen the activities on the track. With wet areas in some corners, conditions were less than ideal for the start of the race. Michael Taylor with Daccache a wheel width behind in fifth. For detailed results, please visit www.csbk.ca. Round Two of the Mopar CSBK National Harley-Davidson XR1200 Cup Series takes place on July 6-8 at the Autodrome St- Eustache, in St- Eustache, Québec. Coming off his best finish to-date in the AMA Pro Go Pro Daytona Sportbike class, a 16th place at Road America, Ben Young battled grueling high temperatures and an electrical gremlin this past weekend at Barber Motorsports Park in Alabama. In Friday afternoon’s first practice session Young seemed to be adapting reasonably well to the increasingly slick track conditions posting a 17th fastest time with a 1:31.958. However, adapting to the heat and humidity proved to be an ongoing challenge. Five minutes into the first qualifying session the Canadian-Scottish pilot found himself hanging off the side of his Yamaha YZF-R6 after the rear tire broke loose. The bike ghost rode itself for about 150 feet and gently fell on its side. Young got up and ran as fast as he could and quickly picked up his machine. He was able to ride it back to the pits where it was determined that no major damage had been done, just a few minor scrapes. Young returned to the track and managed to salvage 20th fastest. During Saturday morning’s second and final AMA Pro Go Pro Daytona Sportbike qualifying session he improved his pace earning 18th fastest of the session. In the first race of the double-header weekend Young, starting from 18th on the grid, got a good start and quickly moved up to 16th place running behind Fernando Amantini. Running confidently for the next few laps a series of minor errors allowed three riders to pass him resulting in a 19th place finish for FOGI Racing’s apprentice. In the second race of the weekend Young struggled with his launch off the grid however he quickly regained composure and began to improve his pace. On the 8th lap Young started to have electronic problems with his motorcycle and slowly began to lose positions. Young retired from Race 2 on lap 15 of the 21 lap race. “In the first race I made a few mistakes letting other riders get by me, no ones fault but my own.” said Young. “In race two the bike was running pretty good and I was feeling about the best I had all weekend but it seems the ECU went into safe mode ending our day early. I did have lots of fun riding and we'll be back stronger for the next round.” added Young. Up next for the BYR/FOGI Racing team will be the Buckeye SuperBike Weekend presented by Dunlop Tire at Mid-Ohio Sports Car Course, Lexington, OH - July 13 – 15. The BMW Motorrad helmet Race debuts at Nürburgring. BMW Motorrad is going to complete its range of motorcycle helmets by a helmet particularly tailored to the special procurements of sporty ambitioned motorcyclists. During many test rides and wind tunnel tests, the helmet Race was developed for the special requirements of racing oriented riders. For the further development of this helmet BMW Motorrad adopts new ways using the experiences of motorcycle racing. 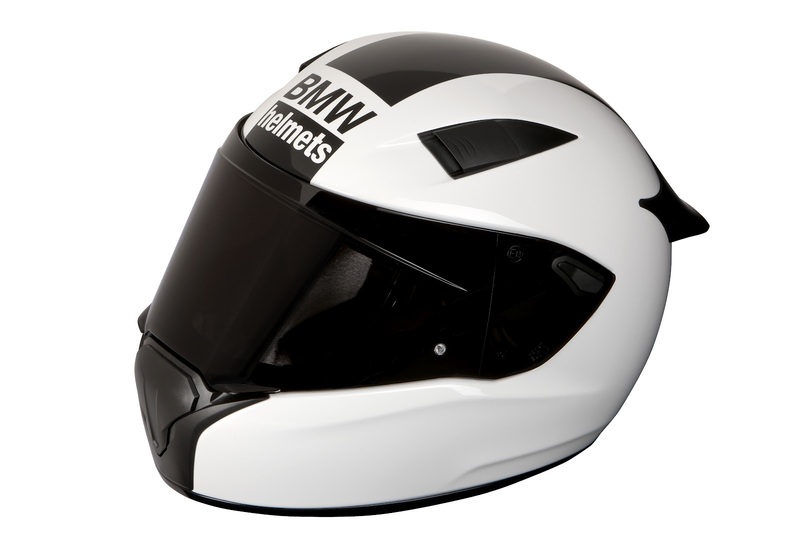 Within the scope of the IDM races on the Nuerburgring from June 15 – 17, 2012 Wilbers BMW Team riders Joerg Teuchert, Gareth Jones, Lucy Glockner and Irek Sikora as well as Van Zon Team’s Arie Vos will be equipped with this helmet – under real racing conditions for the first time. In this way BMW Motorrad uses the riders‘ particular competences to slip their findings consequently in the further development of this helmet. Besides prioritized safety aspects attention will particularly be payed on aerodynamics, wear comfort, visibility and ventilation. The market launch of the helmet Race is planned for 2013 parallel to the established helmet Sport. 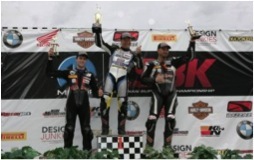 Medical Data Carrier is proud to be on the helmet of Szoke, as he campaigns to take back the CSBK # 1 plate. Medical Data Carrier is a unique, bilingual, medical Information system that provides critical lifesaving data about the wearer as well as crucial family contact information in the event of an emergency. The highly visible, secure and aerodynamic Medical Data Carrier adheres to the left side of any helmet. A warning on the outside of the carrier warns good samaritan responders to leave helmet removal to those trained in the proper technique as improper removal can result in collateral injury, paralysis or worse. Inside is a two sided, waterproof medical data form that contains information about the wearer's identity and medical history including information such things as allergies, medications and blood type. Jordan Szoke has dominated the Canadian Superbike Championship for years by his winning 7 Canadian Championships along the way. He has signed on with BMW Motorrad for the 2012 season where he will race on a BMW S1000. "The Medical Data Carrier is not just for elite racers or athletes," stated Szoke. " The real value is for the everyday street and off road rider to put one on their helmets so that, if they should have an accident, Medical Data Carrier is there ready to be accessed by first responders. No searching for a wallet and it eliminates Q and A by EMS to get details that waste crucial triage minutes. I wear one on all of my helmets, from cycling to superbikes to trials." "I am so excited to see Jordan rip it up in the CSBK series this year and we will be cheering for him and the BMW team. We also want to wish all of the riders a safe and thrilling season, said Steve Reed, President of Medical Data Carrier. " All riders racing in the CSBK series will be wearing a Medical Data Carrier so we feel like we have their back too." During a press conference held at the World Ducati Week 2012, the President of Ducati Motor Holding, Gabriele Del Torchio, has highlighted Ducati’s constant growth and record-breaking sales (+12%) and revenues (+20% YTD) achieved by Ducati in May 2012. Ducati’s massive gathering of passionate fans and owners from all over the world - World Ducati Week, running from 21-24 June at the Misano World Circuit in Misano Adriatico - provided Gabriele Del Torchio anideal platform from which to deliver the latest figures from Ducati’sinternational market and the excellent sales results that the Bologna-based premium motorcycle manufacturer achieved during the opening months of 2012. Despite a difficult market and a slowing global economy, Ducati continues to grow and improve in terms of market share, output volumes and sales, clearly highlighting the security of a company that is now well structured, strategically organised and ready to move into the future with a change of ownership. “This is my third WDW and a key moment for everyone who works at Ducati,” said Mr. Del Torchio at the Press Conference. “Through this event, we have the opportunity to share our passion and pride in beingpart of a prestigious, long-standing brand such as Ducati with the thousands of Ducatisti who have ridden to the Riviera Romagnola from all over the world. We are on the brink of a new era, one that the company begins in the knowledge that all the goals set together with Investindustrial have been achieved brilliantly. “Since 2006 we have doubled our market share and sales and there has also been a net improvement in our financial position. Today, Ducati isa rock-solid company that has aroused the interest of Europe’s largest car maker with whom we’re now ready to begin a new and equally exciting adventure. “The hard work done by everyone at Ducati has paid off and the results confirm the soundness of the strategies implemented from 2006-2011.Thanks to policies focussed on product development, ever-higher investment levels, careful marketing aimed at making the Ducati brand ever-more admired and respected worldwide and the development of emerging markets, Ducati saw revenues grow from €305 million in 2006 to €480 million in 2011 while EBITDA rose from €27 million in 2006 to €94 million in 2011. The number of employees has also increased, from 1043 in 2006 to 1193, the number working at Ducati today. “Over these years we have developed the most exciting and innovative product range in our long history, launching no less than 17 new models. These include the Multistrada 1200 in 2010, the Diavel in 2011 and the most recent, the 1199 Panigale. These successes contributed enormously to the increase in sales, which rose significantly from 35,300 bikes in 2006 to 42,200 at the end of 2011. “Despite the shrinking international market (over-500cc = -4% YTD) and after 2011 proved to be the best in Ducati’s history, we understandably felt optimistic going into 2012, which promises equally significant levels of satisfaction and achievement. In fact, during May 2012 we achieved an absolute record with motorcycle sales of over 6,500, a 12% growth compared to May 2011. In the US market, sales increased 48% and on Asian markets a staggering 238%. Positive signs have also been seen in Europe, where in France, for example, sales increased by 13%. Altogether, Ducati saw sales increase by 12% but, even more significantly, revenues increased by 20% (May YTD), highlighting both the increased volumes and theimproved product mix. These are achievements that we want to share with ourcommunity, with our public, with the Ducatisti who have come here to Misanofrom all over the world for the seventh edition of World Ducati Week. NOTE: North American availability date for the 2013 Triumph Trophy has been revised to Jan 2013 (not October 2012). For the US and Canada only the Trophy SE, with electronically adjustable suspension, audio system, and other features will be available. The standard Trophy model won't be available in those locations. - Powerful three-cylinder, 1215cc engine developing 132bhp and 89ft.lbs of torque at just 6,450rpm. - Robust, virtually maintenance-free shaft drive. - Supreme ride comfort coupled with Triumph’s dynamic handling expertise. - The most technologically-advanced Triumph ever, featuring ride-by-wire throttle, traction control, electronic cruise control, electronic suspension, electrically adjustable screen, integrated audio system with Bluetooth functionality, linked ABS, and Tire Pressure Monitoring System. - Triumph Dynamic Luggage System comes standard, providing practicality with dynamic stability. - Extended service intervals along with two-year unlimited mileage warranty. - Available at Triumph dealers in October 2012. ￼The range-topping Trophy SE features a powerful integrated audio system, with Bluetooth technology, USB input and iPod/MP3 player compatibility. The SE also features adjustable electronic suspension from WP, which is operated via an ergonomically-designed switch cube. Riders select their preferred damping setting – Sport, Normal or Comfort – then combine it with the bike’s loading – Solo, Solo plus luggage or 2-up – and select and review their settings via a dot matrix LCD screen. The ease of use and functionality means that personalized settings can be easily adjusted at the press of a button. The SE also benefits from Triumph’s Tire Pressure Monitoring System, which adds a further layer of rider security while an integrated passenger 12V power supply allows additional accessories to be added. Full pricing will be confirmed in early September with the first bikes available in dealerships in October 2012. First established in 1902, Triumph Motorcycles in 2012 celebrates 110 years of motorcycle manufacture. For the past two decades, Triumph Motorcycles has been based in in Hinckley, Leicestershire, U.K., and has produced iconic bikes which perfectly blend design, character, charisma and performance. Building around 50,000 bikes per year, Triumph is the largest British motorcycle manufacturer and has over 750 dealers across the world. At the heart of Triumph’s philosophy is a commitment to developing truly unique motorcycles that offer a blend of distinctive design, intuitive handling and performance. The innovation and engineering passion that gave birth to the iconic Bonneville of the 60’s has today created a broad range of bikes suited to all motorcycle riders, including the striking 2.3 litre Rocket III, the unmistakable Speed Triple and the Supersport Daytona 675. With an impressive 2012 product portfolio in place, including three brand new models, plus a strong future model development program, Triumph is set to continue to enhance its status in the marketplace. Triumph currently employs around sixteen hundred personnel worldwide and has subsidiary operations in the UK, America, France, Germany, Italy, Japan, Sweden, Benelux and most recently Brazil as well as a network of independent distributors. Triumph has manufacturing facilities in Hinckley, Leicestershire and Thailand and a CKD facility in Brazil. Halifax, Nova Scotia - FOGI Racing is pleased to announce they have been selected to take part in the pinnacle series of World Championship motorcycle road racing this year at the United States Grand Prix event at Indianapolis. Continued team progress in the Spanish Moto2 Championship has paid off with news this morning of the team and rider Tommy Aquino being granted access to the world championship as part of the USGP. Aquino will pilot the FOGI Racing FTR machinery in the highly competitive Moto2 class. FOGI Racing and FTR Chassis have been in partnership for three years and this is the first year FOGI Racing has developed its own team. In the past FOGI has been a motorcycle provider to different riders in the world championship events but this year marks a new program with a complete FOGI Racing team with goals fixed on the world championship. "It has been a lot of hard work over the past nine months to get the team where it is today. We worked tirelessly to get the proper rider, equipment and infrastructure together to put us in a position where we could take advantage of an opportunity such as this." Andrew Murray of FOGI Racing told media outlets. He continued to say "We still have a lot of work to do to find a team sponsor for this event, but we are confident this opportunity will open up new organizations in North America who want to partner with a successful team and take advantage of the enormous market reach found in MotoGP / Moto2 / Moto3 for their products and services". 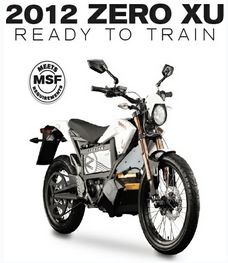 Some news from Zero Motorcycles; looks like one of their electric motorcycle models will be used by the MSF training program. Zero Motorcycles have announced the company’s popular urban motorcycle, the Zero XU, meets the strict criteria of the Motorcycle Safety Foundation (MSF) and is currently being utilized in the organization’s motorcycle training programs. Zero becomes the first electric motorcycle manufacturer in the United States to provide consumers with a new and unique learning experience at MSF courses. By eliminating shifting, heat, exhaust, clutches and noise, riders find themselves immersed in the single task of improving their actual riding skills. The Zero XU reduces the total cost of ownership for any school by eliminating all routine powertrain maintenance and the need for refueling. The motorcycle can be plugged into any standard outlet and, if needed, can be ‘quick’ charged with an optional accessory. The Zero XU power pack is quickly swappable, can be easily removed for off-site charging and the cost of recharging is often around one penny per mile. With a majority of training sessions being held in small closed-course areas, the absence of exhaust and noise eliminates several training concerns and opens up new training venue possibilities. “What a fantastic training tool! The Zero XU blends a lightweight motorcycle feel and posture with an electric motor to ‘twist-n-go.’ The suspension, gearing, braking and overall performance would be very favorable as a training cycle. These bikes should prove to be an ideal bridge of motorcycling, environmentally friendly green vehicles and the social scooter scene. What a fantastic ride,” said Kyle McCarty, RiderCoach, trainer/chief instructor, Motorcycle Safety Technical Specialist, Department of Licensing in Olympia, Wash. The Motorcycle Safety Foundation is the internationally recognized developer of the comprehensive, research-based, Rider Education and Training System (MSF RETS). RETS curricula promotes lifelong-learning for motorcyclists and continuous professional development for certified RiderCoaches and other trainers. MSF also actively participates in government relations, safety research, public awareness campaigns and the provision of technical assistance to state training and licensing programs. The Motorcycle Safety Foundation is a national, not-for-profit organization. This is the Off-Road / Motocross Shootout we have all been waiting for. This Sunday, June 24th at the famous Walton Motocross Facility will be the second Moto Cross Country event in the 2012 calendar. Final preparations are being made for this event hosted by Chris Lee that will feature the full National Motocross track with an extensive off-road section designed and set up by World Enduro Canada. The course is very well marked with very obvious arrows and ribbon guaranteeing that all racers will stay on track even at high speed. In addition to the well known MX track the off-road portion features fast woods trails and high speed grass track sections. Some manufactured obstacles add to the mix making for a very diverse course. The trails are wide with no need for off-road equipment like bark busters. It is hard to say what type of rider is really favoured here. The complete MX track and GP motocross inspired trails lean to the favour of the motocross racer. The forest trails with roots and the two long, one hour moto format may favour the endurance of the off-roader. We won’t know until Sunday who has the speed to take top honours. For the large number of motocrossers out there, this is their final opportunity to ride the whole Walton track before the Trans Can National. For off-roaders, it’s their chance to experience the most well known motocross track in the country. For the motorcycle race fan and enthusiast, this race will deliver the excitement of determining who can win top honours at this motocross / off-road shootout. The Walton Cross Country debuted last year and this year’s event will be similar in layout. The total course length is approximately six kilometres with top riders posting lap times in nine minutes. The mini course is an abbreviated version that still featured the whole MX track. Top mini riders were just breaking six minutes per lap. For those serious Pee Wee racers we have an excellent Pee Wee specific course set up and guaranteed to please. With the surge of young Pee Wee racers coming forth due to this Ontario Championship series, we expect a deep field of talent. We would like to remind riders that the Moto Cross Country format requires some riders to arrive earlier than at a Classic Cross Country event. Pro, Intermediate, Junior and Vet Master riders have to be signed in and ready to race before noon. Please check HERE for specific event details. 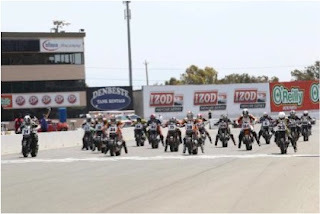 The entertaining spec-bike Canadian Harley-Davidson XR1200 Cup Series is back for 2012 as part of the Mopar CSBK National Championship.The upcoming racing season promises a touch of adrenalinand displays of racing artistry in the Canadian motorcycle racing landscape. Darren James, Manager, Racing Programs, for Deeley Harley-Davidson Canada, brought the Harley‑Davidson XR1200 Cup Series to Canada in 2011, and after spending the spring gaining more racing experience by competing in the equivalent American AMA series, Darren enthuses “it’s awesome to see the excitement of the racers wanting to compete in the Canadian series. I know the 2011 Series champ Steve Crevier is back, strongly supported once again by the team at MotoSport Plus in Kingston, but I can’t wait to see the competition that all the racers on the grid this season have in store for Steve! This class is so much fun; it really boils down to the individual racers know-how and experience. I can’t wait for the opening round in Shannonville”. Currently sitting in eighth place in the AMA XR1200 Series point standingsand having achieved four top-ten finishes in the American series, Darren now faces the competition of Canadian mixed calibre racers in the Canadian Harley‑Davidson XR1200 Cup Series. The Canadian Harley-Davidson XR1200 Cup Series is a spec-bike series featuring specially modified Harley‑Davidson XR1200 and XR1200X motorcycles. Vance & Hines will once again be the official kit supplier for the class, and similarly to the American AMA XR1200 Series, Canadian XR1200 Cup competitors will use racing fuel. Darren James – Ruthless Racing Inc. 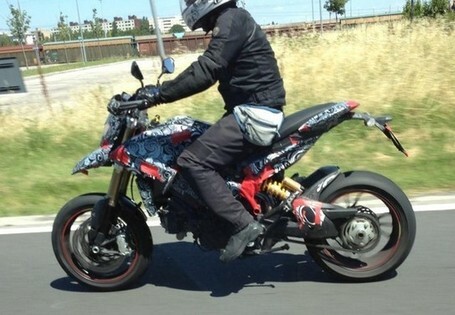 Some spy shots of a rumored new Ducati for 2013 have been popping up on the Internet and while you can never be too sure about these things it makes sense that Ducati would drop a 848 engine into a HyperMotard. Might be nice to see it in a Multistrada too if ask me. 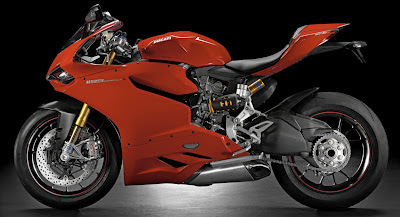 A liquid cooled engine with upwards of 140HP if you consider the current 848 EVO design. Dry weight of the EVO is 370lbs so the combination of a light weight hypermotard bike and horsepower numbers close to the top of the line 848 and there's no doubt Ducati will have a hot seller. Looking for an adventure in Northern Ontario? Well we've got a site for you! 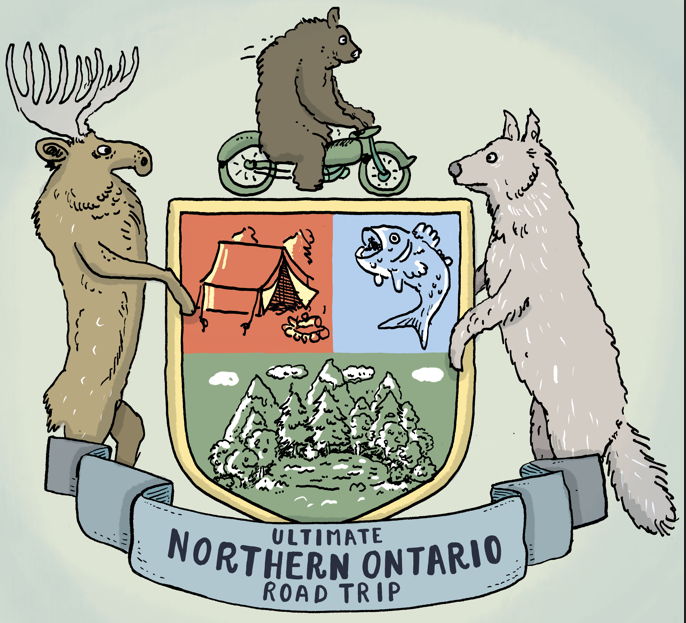 Check out the Ultimate Northern Ontario Road Trip. There's some great stuff here. If you dig a little deeper into all the folks behind this site you'll almost certainly recognize the names of several Canadian motorcycle enthusiasts. The Ultimate Northern Ontario Road Trip is a sixty day voyage through the pristine wilderness of Northern Ontario. Our rag-tag band of correspondents have set out to explore every last corner of the province, using the internet to report back on our quest for the best time ever. Over the course of this epic road trip we’ll be bringing you the incredible tales of the the things we do and the people we meet with the power of photo, video and social media. Drummondville, May 2012 – One Industries corp., a California based company that manufactures SIXSIXONE products for motocross riders, has now confirmed an exclusive partnership with Canadian recreational vehicle parts and accessories distributor, Kimpex, Drummondville, Quebec for the Canadian market. Through this partnership, Kimpex will have access to the full SIXSIXONE product lineup, which was previously sold by Parts Canada and Motovan. This will further give a better exposure and a larger dealership network for SIXSIXONE products and open the way to a great success. 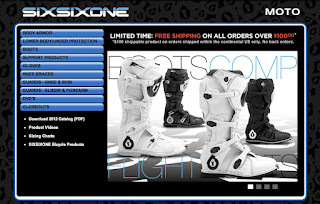 SIXSIXONE is a leading designer and manufacturer of action sports/ powersports protection and is targeting customers who are looking for high end performance without the high end price tag. We pride ourselves on bringing high value, relevant products to market to fulfill the needs of professional athletes and weekend warriors. “It is a great opportunity for our dealers to get SIXSIXONE products again as Kimpex and SIXSIXONE are now working together” said Jimmy Mathieu, motorcycle development analyst of Kimpex. Yamaha's looking for a few people to fill some spots. Maybe it's you? Yamaha Motor Canada Ltd. is an innovative and dynamic player in the leisure vehicle industry. A career at Yamaha means being involved in the leading edge of the leisure vehicle industry. Employees are offered a supportive work environment with training and development programs to help them grow and achieve their career goals. We offer competitive salaries and comprehensive benefits. Yamaha Motor Canada Ltd. seeks a professional candidate for the position of District Sales Manager, in the Quebec region. This role is based out of our Montreal Branch office. As a District Sales Manager, you will implement Yamaha Motor’s sales and marketing policies and develop our dealer network to achieve sales targets by increasing retail and wholesale market shares. - Achieve dealer network targets by maintaining or replacing existing dealers and appointing new dealers in open areas. - Maintain a high level of communication with Yamaha dealers and head office by frequent dealer contact and dealer visits. - Complete weekly and monthly reports on territory sales and market analysis. - Work with the Parts and Accessories sales team to ensure corporate sales targets are met. - 3-5 years related experience. - Extensive knowledge of Yamaha products. - Ability to travel extensively. - Excellent organization, communication and computer skills. Yamaha Motor Canada Ltd. is committed to employment equity. We thank all applicants for their interest; however, only those candidates selected for an interview will be contacted. No agencies please. Yamaha Motor Canada Ltd. currently seeks an Assistant Technical Specialist, Motorsports for our Service Department located at our Head Office in Toronto, ON. The Assistant Technical Specialist, Motorsports will primarily assist the Technical Manager on designated Yamaha product lines. Motorcycles: In the first five months of 2012, BMW Motorrad sold 48,918 (prev. yr. 48,749) vehicles. This represents a growth of +0.3% compared to the same period in 2011. Sales for the month of May fell by 8.8% to a level below that of the previous year - a total of 11,457 motorcycles (prev. yr. 12,568) were delivered to customers. Husqvarna Motorcycles recorded a rise in deliveries for the fifth month in a row. Year-to-date, Husqvarna delivered 4,420 motorcycles (prev. yr. 3,080 units), an increase of +43.5 %. In May, 860 vehicles (prev. yr. 537 units) were delivered to the Husqvarna dealership network, +60.1 % more than in the same month of the previous year. What was formerly known as Million Mile Monday is now expanding to two days! The Harley-Davidson Owners Group of Canada Ltd., the official Canadian riding club of the Harley-Davidson Motor Company, is pleased to invite all Harley-Davidson motorcycle riders in Canada to join its members in celebrating the freedom of the open road during the 2012 Harley-Davidson World Ride. Launched in 2008, Million Mile Monday has been an annual global event on the last Monday of June that brings thousands of Harley-Davidson motorcycle riders together in a collective effort to celebrate the motorcycle riding experience. In 2011, global riders collectively logged more that 4,000,000 miles. New for 2012, Million Mile Monday has been expanded and renamed: now a two-day World Ride on Sunday, June 24, and Monday, June 25, to give more riders globally an opportunity to participate, and with the expansion to two days this year, the Company hopes to raise the mileage total even higher. Whether it is a ride across town or cross-country, or simply around the block to work, every mile or kilometre counts and can be recorded by logging into the online mileage accumulator for Harley-Davidson at h-d.com/worldride, where a rolling odometer will record the collective distance travelled by all participants in the World Ride. Canadian Customers that log their kilometres on h-d.com/worldride will be eligible for a voucher for $10 off of Screamin’ Eagle SYN3 engine oil or a SYN3 oil change valid at participating authorized Canadian Harley-Davidson Retailers from August 15 to September 15, while supplies last. The first 1,500 Canadian H.O.G. members who participate in World Ride and log their miles from Sunday, June 24, and Monday, June 25, will receive, in addition, a special gift for being a member of the Harley Owners Group, which will be mailed out shortly after the event is over. At the completion of the ride, a commemorative certificate of participation will be available to display each rider’s mileage total for the day. Gizmag pays a visit to San Francisco-based Lit Motors, to check out the company's functioning prototype of its gyroscopically-stabilized C-1 electric motorcycle. "We tried to capture the process of building a sidecar. Built by hand, and built in-house, Ural production is a labor of the heart. Things are done differently, and our goal is to document the process, so you can enjoy a view into the creation of your own Ural—and what makes them so special." See more at the Ural Motorcycle Facebook Page. This Sunday, June 10th World Enduro Canada returns to Wingham for the third year in a row. This facility is becoming renowned for its fast, natural MX track and forest trails with ample elevation changes. The Pee Wee race course is known as one of the best in the series and we look forward to seeing more of our young riders battle it out for the podium and a chance to win a Marin mountain bike courtesy of our generous sponsor Royal Distributing. This event will return to the “Classic X-Country” race format for adult classes which refers to a two hour race for all adult classes and two and a half hours for Pro racers. The morning and afternoon race program and award ceremonies will be identical to the consistent format of which riders have become accustomed over the three years of WEC XC Racing. As at every round of the Wiesner Insurance Cross Country Championship, over $750 in cash will awarded. Pros always have 100% payback and along with the Pro Holeshot Award, Fastest Pro at Halfway Award, Amateur Holeshot Award, and Fastest Lap Award, the money flows back to the riders at every race. We would like to thank Teron Construction for their generous support as a new series sponsor. Off-road motorcycle racing is alive and well in this professionally run series thanks to help form sponsors like Teron Construction. Round two at Wheatley last weekend set the bar very high for a quality, entertaining race. Wingham is set to repeat. Zero Motorcycles has announced it has developed a new partnership with action sports footwear and apparel company, etnies. 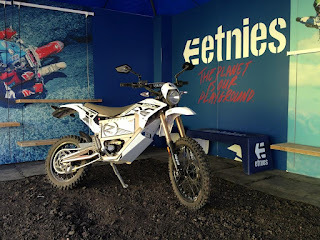 Known widely as the technology pioneer behind today’s modern action sports footwear, etnies branded the 2012 Zero X with its logo package and the bike has been traveling with etnies on the Lucas Oil Pro Motocross Championship circuit. 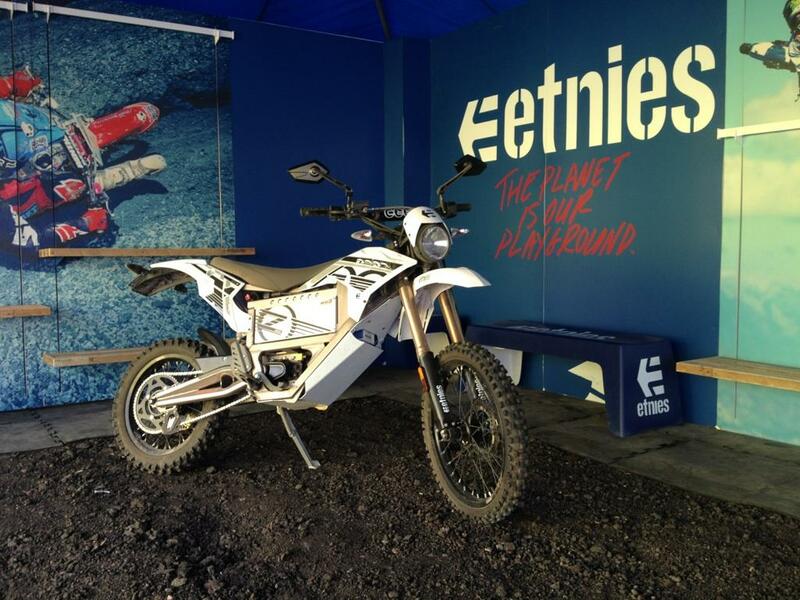 The 2012 Zero X is featured in the etnies tent at all 12 races and used by the etnies team in and around the pits and track. The next race of the Championship is the High Point National in Mt. Morris, Penn., on June 9, 2012. "This is an incredible partnership for Zero Motorcycles. etnies is forward thinking, innovative and their global conservation initiatives align with Zero’s. Our motorcycle will be traveling the entire 12-city Lucas Oil Pro Motocross Championship tour and will be showcased by etnies in their onsite booth. The Zero X will serve as a great pit bike and allow etnies team members to quickly get around trackside with no noise,” said Scot Harden, vice president of marketing, Zero Motorcycles. The etnies 2012 Zero X will be displayed in the etnies Booth at all stops of the series for fans to see firsthand, along with the chance to purchase the etnies gear worn by etnies pros. When it’s not in the booth, the 2012 Zero X will be seen tearing across the track and pits, quickly transporting the etnies staff and team riders. BYR/FOGI Racing’s Ben Young continued his progress in the AMA Pro Road Racing Pro GoPro Daytona SportBike class this past weekend earning his best finish of the season so far with a 16th place finish in the first of two races at the Subway SuperBike Doubleheader at Road America, Elkhart Lake, Wisconsin. However, a mechanical setback in Sunday’s race ended his day early, halting any further progress the team had hoped to accomplish over the weekend. Prior to Friday afternoon’s practice session it seemed that the unseasonably cool temperatures had followed the AMA Pro Road Racing series from Miller Motorsports Park to Road America. Under overcast skies Young took to the track for the first practice session earning 18th fastest with a time of 2:26.356. In the first qualifying session Young rode confident and dramatically dropped his lap times down to a 2:25.013, tentatively placing him 19th on the grid. With one more qualifying session to go Young new he could dig deeper. In Saturday morning’s final qualifying session the young resident of Thornbury Ontario achieved 15th fastest with a best lap time of 2:23.065 placing his Scot-build Yamaha R6 15th on the grid, a personal best for the pilot in his rookie Daytona SportBike season. In the first Pro GoPro Daytona SportBike race of the weekend Young ran equally as strong as he did in the final qualifier, chasing Kneedraggers.com/Triple Crown Industries - Austin Dehaven and Turner`s Cycle Racing’s Kris Turner for most of the race. Dehaven began to pull away however in the closing laps of the race Young would pass Turner to take 16th place at the line. Feeling confident from the previous day’s progress FOGI Racing’s young apprentice was eager to see what the second race of the weekend had in store for him and the team. On Sunday the track conditions and weather were perfect for the racers and the fans in attendance at Road America. After the morning practice the team decided to risk changing the rear gearing to allow Young to get a better drive out the corners. As in the first race Young was once again chasing #56 Dehaven and #38 Turner with Fernando Amantini joining the mix. Preparing to make a pass on Kris Turner, Young’s machine developed transmission problems and was forced to retire on the 8th lap. The young Scottish-Canadian rider was asked about his weekend: "The second race was unfortunate but we had a strong weekend overall. Our bike is underpowered at present compared to the front runners. Hopefully we can rectify that and award our sponsors and the team with high-end results for the remainder of the season." Young is looking forward to spending some time at home with family and friends before heading back out on the road for Round 6, the Triumph SuperBike Classic at Barber Motorsports Park, Birmingham, AL - June 22 – 24. Ducati North America posts retail sales growth of 49 percent, reporting best monthly sales in company history. Cupertino, Calif. (June 4, 2012) – Ducati North America reported a retail sales increase of 49 percent in May, reaching 1,782 new motorcycles sold and marking the company’s all-time monthly record. This result surpassed the prior record set in June 2008 by 388 motorcycles or 28percent. YTD retail sales growth of 19 percent to 4,844 units also marked an all-time record for the January-May period, with consistent growth across all motorcycle segments. “This fantastic result confirms the customer’s enthusiasm for our brand that has led us to double our sales in just 24 months. The increasing appeal of our expanding product line, our experience-based marketing strategy and the strengthening of our dealer network, represent the key building blocks that will continue to fuel our future growth,” said Cristiano Silei, Ducati Vice President of Global Sales and CEO of Ducati North America. May 2012 sales results were buoyed by the introduction of two new models, the groundbreaking 1199 Panigale and the Streetfighter 848, combined with the continued success of the high-end Multistrada and Diavel families. BMW Motorrad Canada reported 280 motorcycle retails in May, an increase of 2 per cent over the May, 2011. On the year, 831 units have been retailed, marking an increase of 9 per cent over the same period last year. If your name is Steve - Steve Hennessy to be more precise - you'd already know that you'd won a Harley Davidson motorcycle in the Live Your Dream contest. The winner was selected on Thursday last week and on Thursday this week at 10:30 AM Steve gets to go to Mackie HD to pick out which bike he wants. 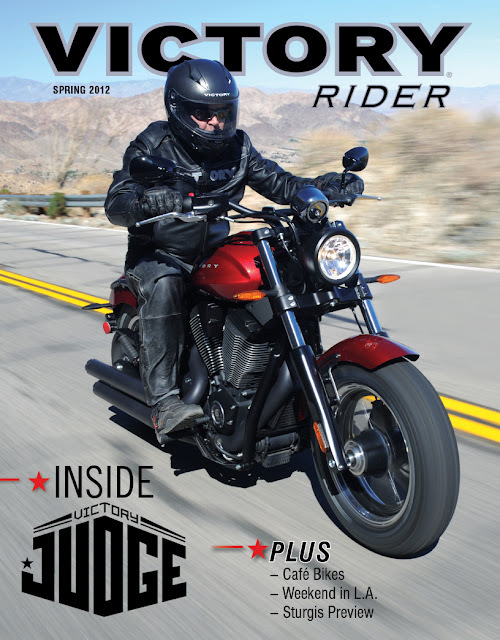 Victory Rider Magazine, the official publication of the Victory Riders Association, has published its first digital edition. 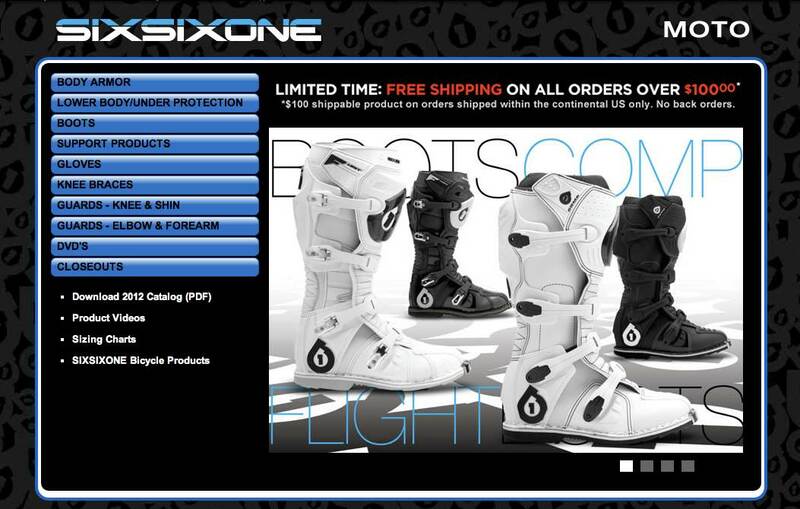 The new format can be accessed at www.victorymotorcycles.com by pulling down the Community/Events button on the home page. This will replace the print edition that has been published since 2005. The Spring 2012 Edition is HERE. The digital format utilizes technology embraced by leading consumer motorcycle magazines and features convenient searching, HD color and a mobile app that allows access anywhere. Embedded videos will be included to bring dynamic road tests and product evaluations to the readers. Victory owners and other motorcyclists can share interesting stories by e-mail and social networks directly from the digital edition toolbar. The mobile app is free and downloadable to most mobile devices. For more information about the entire line of Victory Motorcycles visit www.victorymotorcycles.com. perspective on the sport of motorcycling! - Dave and Norm make one last stop before reaching the airport in St John's during their "BMW Ultimate Ride"
- Honda reporter, Aliki Karayan turns the spotlight on the proper riding apparel. - Bryan Hudgin falls behind as he tackles the final test in this season's Ultimate Motorcycle Challenge!